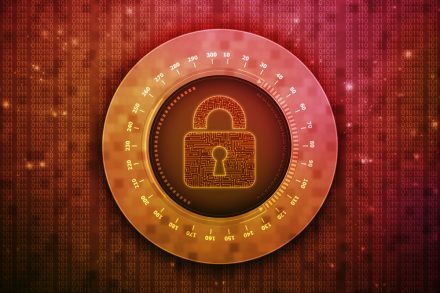 Data protection is imperative for all businesses, and encryption is utilized to protect loss of data via internal mishaps or external intrusions. Encrypted modules are also used to effectively protect “data at rest,” which refers to data that is archived or not accessed and modified frequently. Data at rest is usually stored on hard drives, USB drives, and backup disks and tape. Networks also employ data encryption to protect “data in transit,” which is essentially data that flows over public or untrusted networks (such as the Internet), or within the confines of private or trusted networks, such as corporate or enterprise Local Area Networks (LAN). Data at rest encryption is usually divided into two categories: object encryption and media encryption. The latter is designed to protect data on tapes, disk drives, and storage drives. Encryption blocks are implemented across multiple places within the data storage stack. This includes the host, along with SAN appliances or target devices like disk drives, tape libraries, and tape drives. Data encryption utilizes specific language that is programmed for optimal protection. While these modules can be modified based on certain access routes or eligibilities, the main goal is simply to protect data from being breached by unauthorized sources. SEDs are designed to fit in with any security stack, and many security offices now require SEDs as part of their encryption protocols. SEDs can be modified, manipulated, or involve complete data erasure based on client needs. This process is heavily utilized at labs, as well as by cloud providers that offer encryption for data that will be erased after projects are completed or withdrawn. Services for crushing and shredding SEDs or other drives are always available. Whether for data protection or erasure, encryption still plays a vital role in maximum protection and loss prevention. It simply comes down to what clients need in terms of storage, access, and continuous flow of information for their respective businesses.